Exactly what is web hosting and how does it work? Web hosting is the a service offering space and bandwidth on a high-powered computer system server that is linked to the Internet at extremely high speeds. Shared hosting is a part of disk area and bandwidth offered to you by the web hosting business on a high-powered server. 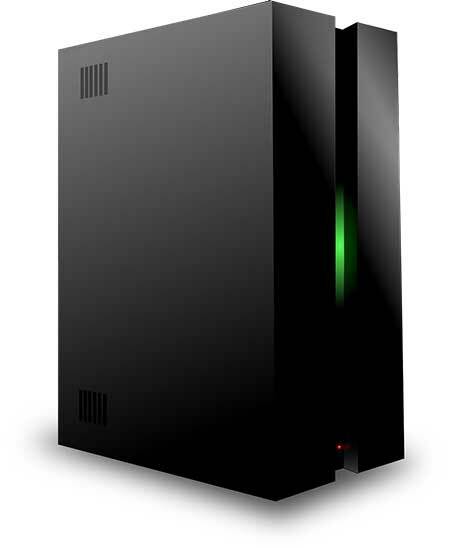 This is the most common type of hosting and allows you to avail of cheaper web hosting prices. If you are looking cheap web hosting and do not have more than a couple thousand everyday visitors to your website, shared web hosting is probably the best hosting plan for you. Reseller webhosting is a popular, affordable option to beginning your very own webhosting company. Reseller hosting enables you to host lots more sites at a cheaper price than if you were choosing shared hosting for each. Each account comes with a separate Cpanel control panel. Find out more about our reseller hosting options here. With prices starting at only €2.75 per month we are one of the best value hosting providers in Ireland if not the world. What is Disk Space/ Storage Space? Disk area is the quantity of physical storage area a web host provides to you to keep your web files. With a 10 GB disk space allowance there is more than enough room for your website to grow. The quantity of bandwidth readily available can make a huge distinction in picking a quality hosting strategy. Be cautious of any web hosting business that provide unmetered or unrestricted bandwidth. Bandwidth costs money so the idea that anyone can provide you with unlimited bandwidth or disk space is laughable. Numerous of the hosting business are readily available all day and night in case you have an issue with your web website, however there are some who are simply readily available particular hours of the day. You must make sure the web host you pick is constantly offered for support. If for any reason you are not satisfied with our hosting just let us know within seven days of signing up and we will provide you with a full refund less the cost of registering the free domain name. What Operating System is best for Web Hosting? The majority of websites on the Internet the Linux operation system. Stability is crucial in running a web website. For this factor, wehost your web websites on the Linux operating system. The control panel is what you use to view statistics, set up e-mail addresses, manage databases and you can also use it to edit files. We use cPanel, which is one of the leading web hosting control panels out there today. Email Hosting is included with your web hosting plan, we offer 600 e-mail addresses which is more than you will ever need as well as Forwarders which will allow you to forward e-mails automatically to another e-mail address such as your Gmail account. This is a very handy feature that allows you to automatically reply to any e-mail you receive. This lets people know that you have received the e-mail and is also great for when you are on vacation so you can let people know that they will not receive a reply and you come back. Uptime is a term made use of to explain how commonly the typical web website hosted by a business is readily available online. It is impossible to offer 100 % uptime due to technical considerations such as hardware failure, server reboots etc. You will find that any company that claims to offer 100% uptime has hidden clauses which will make sure that no guarantee is paid out. Eirhost web hosting Ireland to offer a 99.99% uptime guarantee. This details is gathered by the web server and is positioned in a log file. The info collected from these logs can be really important in letting you know where your visitors are coming from. A scripting language is a method of adding enhanced content to your web website, whether it be to send a contact form or to extract info from an external database to display on your website. We support the PHP programming language as well as CGI scripts. Databases are required by most content management software such as WordPress, Joomla etc. Not only do we provide you with MySQL databases, we also give you a way of editing them if you need to using PHPmyadmin, the most popular web-based database editing software.